Will the pro remain mps resign if they are wrong over Brexit ? Have the project fear remoaners resigned having already been proven wrong? The scale of the impact of the referendum I suspect. There wasn't a recession. Apparently that's a sign that everyone was lying, despite the global upturn taking everyone by surprise, even those with nothing to do with the UK/EU/Brexit. Not that we're making the most of the global upturn of course, but that minor inconvenience can be swept under the carpet. You remoaners really are pathetic losers who still can not accept democracy. But nevermind 248 days and you will have to accept reality and the majority of the country will be fecking loving it. Never in over 50 years of working life have I seen the UK facing such an abject future, caused by the complete failure of our political establishment to govern, to communicate clearly with the public and, most importantly, to be honest with the electorate. We have many senior politicians who are seemingly consumed with their own ambition and vanity, with little regard for the best interests of the country. It is clear that either a negotiated settlement along the lines of the Chequers agreement or an exit from the EU with no deal are both going to result in the UK becoming a much poorer and less influential country than anybody was led to believe during the appallingly conducted referendum campaign. As a businessman, recently retired as chairman of Lloyd’s of London, I can see all too clearly the consequences for the economy, for employment and for the provision of basic services. Apart from the effect on manufacturing industry and the services sector (the latter being sacrificed by the government on the altar of Brexit), there will be disruption to the provision of basic public services such as agriculture, healthcare and air transport. We are constantly being told by the Brexiters it will all be fine. We will keep our sovereignty and we will be able to negotiate our own trade deals with ease. This is fanciful. Lloyd’s is the most global of all British institutions. Personal experience tells me that negotiating overseas rights is a long and painful process. If we are trying to do it as a small economy, the leverage we have is limited and far less than operating as a trade bloc, which is the EU. We would lose all the EU trading rights with third countries. It is also worth remembering that 44 per cent of our trade is with the EU. The great majority of UK economy is in the services sector — financial services alone contribute 12 per cent of gross domestic product. I agree with many of the warning comments made in recent weeks by many business leaders. But almost all of these comments are coming from overseas businesses. It is high time that UK business spoke up and galvanised the public to understand the true realities of what the country is facing. There also appears to be a silent majority of MPs from each of the major parties who seem terrified of putting their head above the parapet. They need to co-operate, or even coalesce, to provide the public with sensible government. The case for remaining in the EU needs to be restated and contrasted with the now much clearer alternative. Membership of the EU has drawbacks, but overall the benefits in terms of trade, security and fellowship overwhelm the narrow shortsighted nationalism espoused by those who wish to return to an Edwardian age. Of course there needs to be a second referendum once the route we are pursuing becomes clear. That route will bear no resemblance to the picture painted by our politicians at the time of the first one. "Commission has only a limited role in EU law-making"
Most legislation needs to be proposed by the European Commission and approved by the Council of the European Union in order to become law. Such laws are presented to the European Parliament only at the discretion of the European Commission. A new law is only presented for an up or down vote in a set-up where there is virtually no debate – MEPs are allowed to speak for at most one minute per person. As the actual EU legislative history shows, this ‘parliamentary ratification’ amounts to nothing more than the proverbial rubber stamp. Once EU laws are approved by the Council of Ministers and become European Law, they are presented to the British and other national parliaments. Here they can be debated them and a note made of certain provisions. However, the only effective response an elected parliament may have is to invoke its ‘national veto’. The EU superseding the national laws and even the Constitutions of member nations. British and other national Courts are required to follow EU law unquestioningly, without the option to declare it ‘unconstitutional’ as can be done with domestic laws. BTW, MEPs are nominated by political parties in various European countries, so they are not elected directly by voters. Not always realised is that EU parliamentary elections only decide how many seats will be allotted to each party. The actual choice of the MEPs is entirely up to the party, not the voters. This naturally means that (except for UKIP in Britain and a few other anti-EU parties) MEPs are generally lackeys of the EU. You can give me a link to Full Fact all you like. It is a biased pro-EU organization. Not exactly true that. Let's take a look at the original Treasury forecasts that received the propaganda handle Project Fear. So, five and a half 'project fear' claims true, with the economy clearly stalling, and the UK still in the single market. Yes and none of that would have ever happened had we voted remain would it! Clown. Public sector workers to receive biggest pay rise for 10 years it’s been revealed today. Don’t tell me, it would have been a lot more had we remained. Nominal wage demands are going up because inflation is rising (as the Treasury predicted). 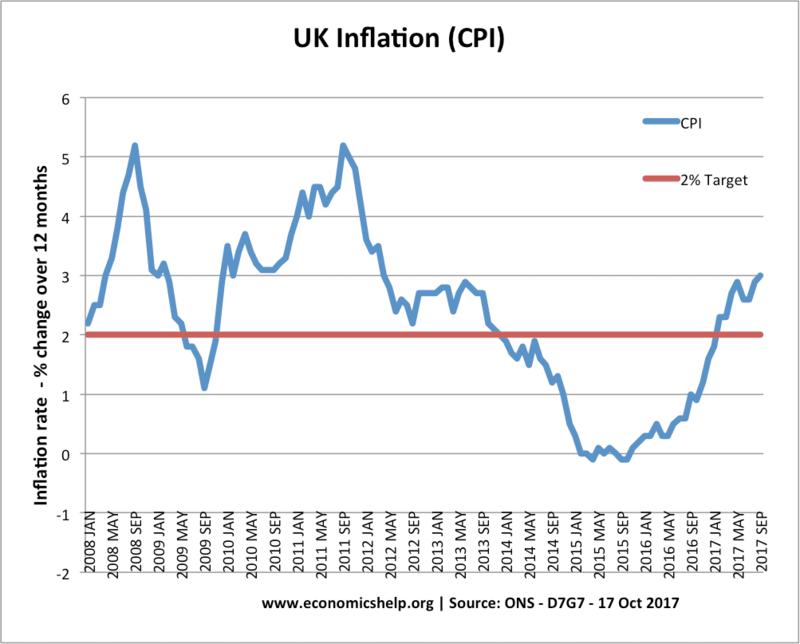 Inflation is rising in large part because the pound has tanked (as the Treasury predicted).